Phoenix, Arizona (PHX) - $230 CAD roundtrip including taxes. Non stop flights. Orlando, Florida (MCO) - $254 CAD roundtrip including taxes. Non stop flights. (1 seat only). This one isn't showing up on Google Flights. But try Dec 7 to Dec 14. Palm Springs, California (LAX) - $271 CAD roundtrip including taxes. Non stop flights. 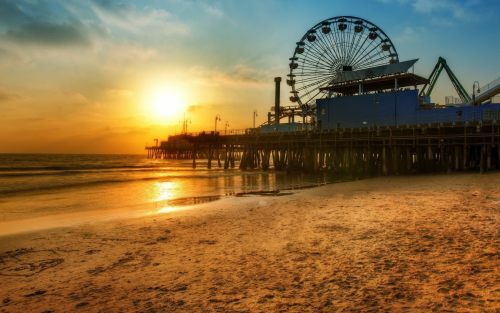 Los Angeles, California (LAX) - $284 CAD roundtrip including taxes. 1 stop flights. San Diego, California (SAN) - $316 CAD roundtrip including taxes. 1 stop flights. Honolulu, Hawaii - $432 CAD roundtrip including taxes. 1 stop flights. Phoenix, Arizona (PHX) - look for the $271 flights. 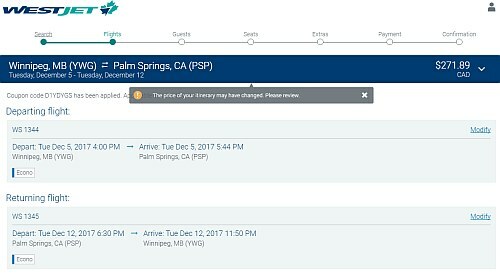 Palm Springs, California (PSP) - look for the $323 flights.